Logo created for Volunteer South Sound in Olympia, WA. Logo created for Independent Marine Propeller in Portland, OR. Logo created for Coots Castle Produce in Centralia, WA. Logo created for the 3 Feathers Emu Ranch in Centralia, WA. Logo design created for the annual 2017 Harbor Wholesale Tradeshow in Lacey, WA. One of 17 social media graphics created during my internship at Washington Department of Natural Resources in Olympia, WA. Rec stickers created during my internship at Washington Department of Natural Resources in Olympia, WA. Poster created for the PLU Juried Senior Exhibition. This project summarizes designs created during the 2015 and 2016 academic years and represents design work created for businesses and companies in the Western Washington region. Featured in PLU's Juried Senior Exhibition, In Flux. Website* created for the PLU Juried Senior Exhibition. This project summarizes designs created during the 2015 and 2016 academic years and represents design work created for businesses and companies in the Western Washington region. *Website is best viewed on an iPad. Logo design created for the PDX People lifestyle business in Portland, OR. Project sheet design created during my internship at Korsmo Construction in Tacoma, WA. 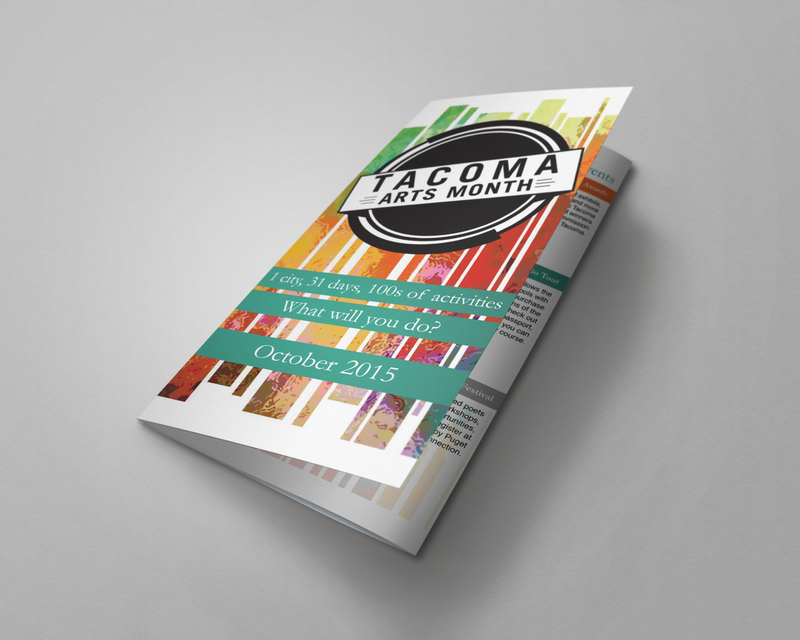 Advertisement, branding, information booket, brochure and web design for the Tacoma Arts Commission's annual Tacoma Arts Month. Complete website redesign of Southwestern Washington ELCA Synod in Tacoma, WA. My final project completed for my Study Away trip to Bali.